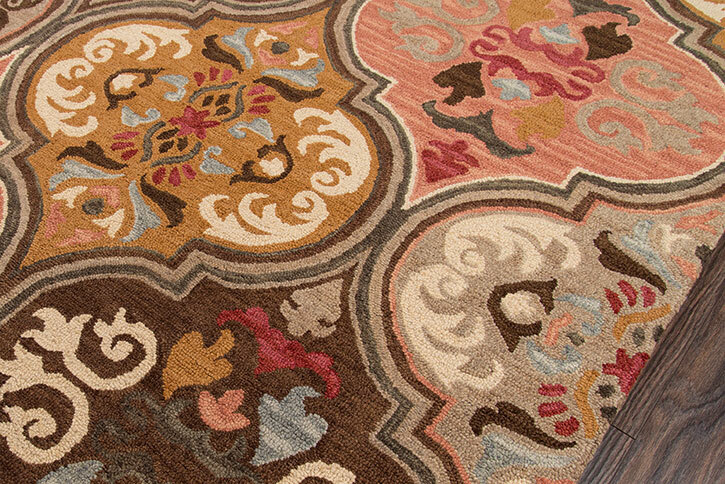 The graphic global designs of this traditional area rug collection are reminiscent of roads less travelled. 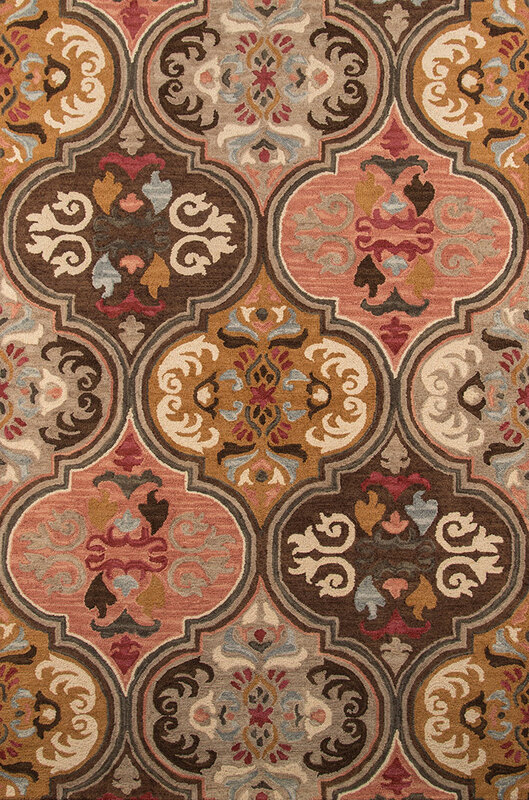 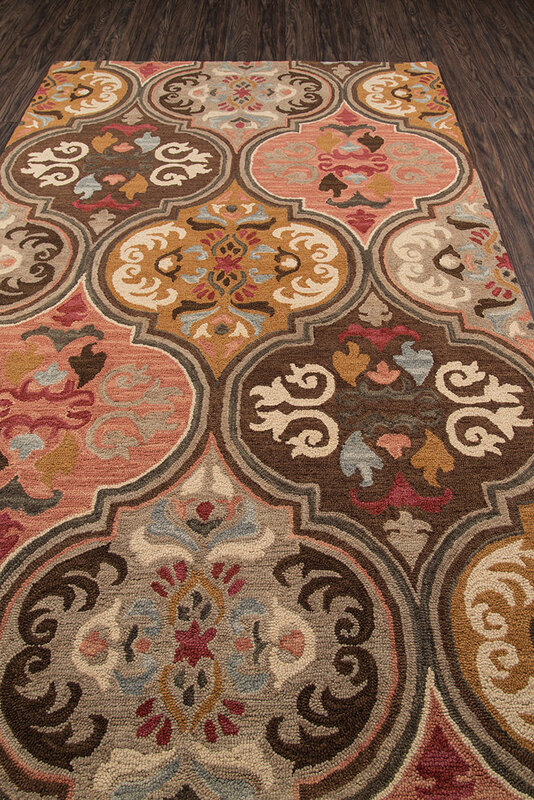 Intricate Kazak rug motifs, including geometric patterns and repeating floral fields, are depicted in desert-inspired shades of warm red, gold, burnt sienna and sky blue. 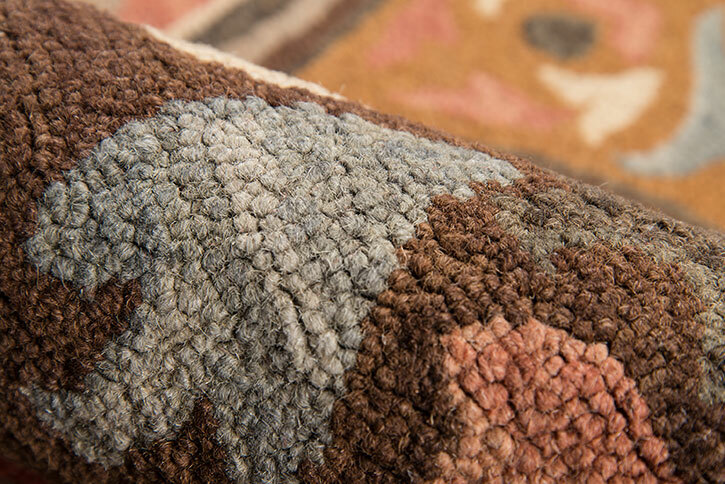 Natural 100% wool fibers and hand-tufted construction reflect the rugged sensibilities of each rug’s nomadic design, while a washed finish gives the rustic rug collection a refined hand.